We provide 24-Hour electrical repairs, installations, and replacements for your electrical emergencies. Call us first in the middle of the night! J&B Electrical Services is a Christian based, and family-owned business. We are committed to operating our business with integrity. J&B is proud to offer a 10% discount on all services to our new customers. Contact us today to get started! Stay Cool with J&B Electrical Services! J&B Electrical Services is the perfect company to install that new ceiling fan to keep you cool in the Texas summer heat! If you are looking for a qualified electrician, J&B Electrical Services has the skills, character, and the reputation you can trust. Looking for a quality and affordable electrician in Arlington or DFW Metroplex? J&B is here to help you! 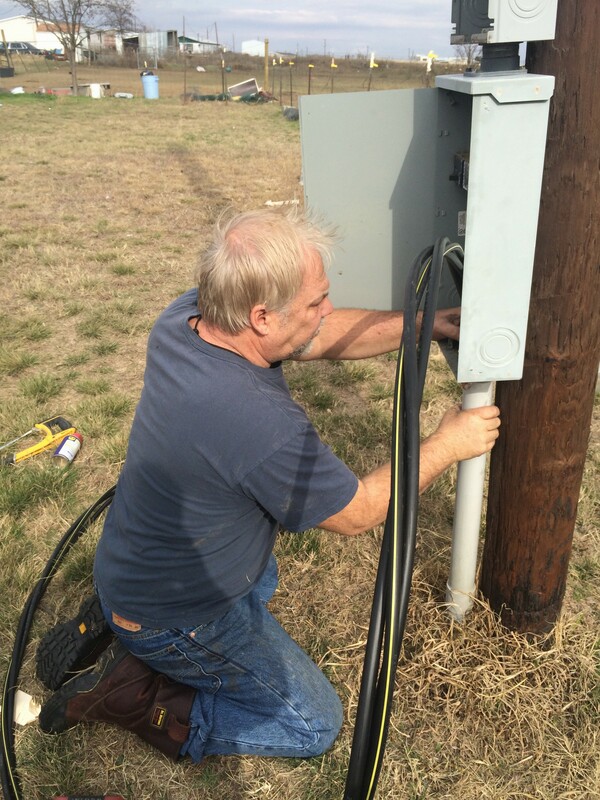 We strive to be set apart from any other electrician in Arlington, Mansfield, and the DFW metroplex. We pride ourselves on being honest, trustworthy and to operate with integrity. With over 20 years of experience in lighting, electrical panels, ceiling fan installation, flat screen TV installation, and interior and exterior lighting, we are one of the best in the industry. No Job is too big or too small. J&B Electrical Services is a Christian based, and family-owned electrician. 24/7 Licensed Electrician in Arlington TX, Serving DFW! Unlike other electricians in the Dallas/Fort Worth Metroplex, the price you are given is what it is going to cost. There are no hidden fees. We don’t charge a dispatch fee, a service fee, or an estimate fee. We don’t use scare tactics, and we do our best to work with you not against you. Our overhead is low so that we can pass the savings onto you, our customer. There are no catchy jingles or large staff. Who you talk to on the phone is who will be coming into your home or business. First time customers receive a 10% discount! In need of an emergency electrician? We are available 24 hours a day 7 days a week 365 days a year. Call J&B Electrical Services for a 24-hour electrician. Our 20+ years of electrician experience covers not only residential electrical work, but commercial electrical work as well. We specialize in lease space rewiring, security lighting, flood lights, panel change outs, ceiling fan installation, exterior lighting, and landscape lighting (just to name a few). The newest thing in lighting is retrofitting LED lighting to replace fluorescent lights in shops and offices. We specialize in LED lighting installation, we are fast and efficient and our work is guaranteed. When it comes to electrical work, there's nothing we cant do. If you are looking for a qualified electrician, we have the skills, character, and reputation you can trust. "I was so pleased with J&B Electric! I needed an outlet put in my garage. They were able to come out within a few hours of our first contact. They were on time and the job was done professionally. I would definitely recommend J&B!" "I've used Jimmy's company to do a small job around our place and you won't find a nicer bunch of folks to do your electrical work. Highly recommend them." "Great service, honest pricing. Had many things done from ceiling fan install to breaker box redo. Call J&B. You Will be satisfied!!" "We rely on J & B Electrical for all our electrical work and repairs. We always experience first-rate, dependable service." "I just wanted to thank J & B Electrical Services for the work that was done at our home. I was happy to have such honest and loving advice. If you want a company that will tell you what you want to hear and then give unreasonable prices then by all means J&B is not for you, but if you are looking for a company that not only thinks with a business mind but also a Godly heart than J & B Electric is the only company I would highly recommend." "The kitchen and porch light fixtures that you installed for us yesterday look wonderful and we are so pleased with the job. Thank you for your professionalism and care to ensure the end result was exactly what we were looking to find. We will certainly contact you again with any of our electrical needs and we will recommend you to friends and family as the opportunity arises."